Have you discovered these cups? If not, believe me, you simply must be introduced! 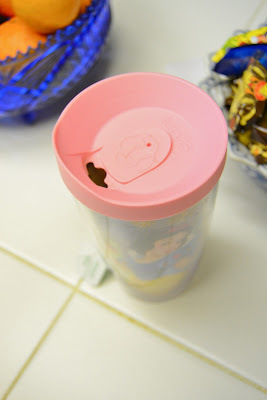 "Dear Person Reading My Blog (btw, thank you so much for dropping by,) please meet my favorite new drinking device - The Tervis Tumbler." They come with a life-time guarantee! They keep cold drinks cold for HOURS - even in sub-tropical Texas heat! They keep hot drinks warm. My experience is that warm doesn't keep for quite as long as cold - but, still, for at least a couple of hours you'll have a nice warm cup'o. They are virtually indestructible. We are a clumsy lot and have dropped them many times - not even a scratch! They don't "sweat" and never leave a wet ring. They are dish-washer safe. Very important here - no matter how many times we say we are each going to use ONE glass all day. They come with 500 designs from which to choose - for young and old alike! They can be personalized with your own names or words. And, now . . . their website says that soon, we will be able to design our very own! We'll be able to upload our own photos to put on the cup and add text! I sure hope they get this up and running soon because I see all my Christmas list being filled with TERVIS this year! Sophi has been sick this week with a runny nose and cough. 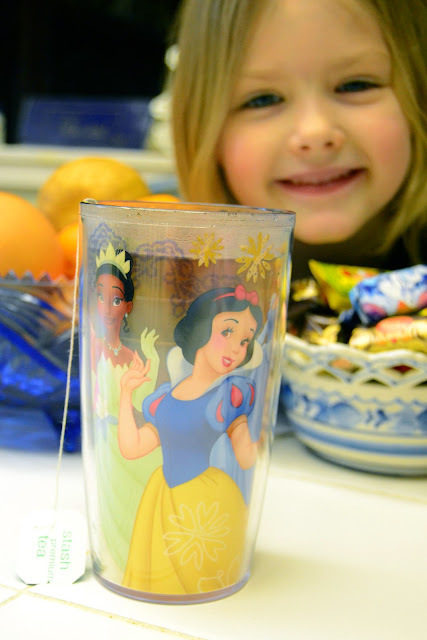 Drinking her hot tea out of the Princess Tervis her sweet auntie gave her for Christmas has helped her feel much better! It really is so pretty - this photo doesn't do it justice. And, it comes with a "big girl lid!" There are plenty of "look a likes" out there, but don't be fooled! I tried a couple in an attempt to save money and had to throw the cheap'o's out - they just don't work. Believe me, if you want to have ice in your cup all afternoon, get a Tervis! Full Disclosure: I'm drinking my Diet DP out of a "watermelon" Tervis tumbler right now! Disclaimer: I have not been reimbursed or subsidized by TERVIS in any way for this post. 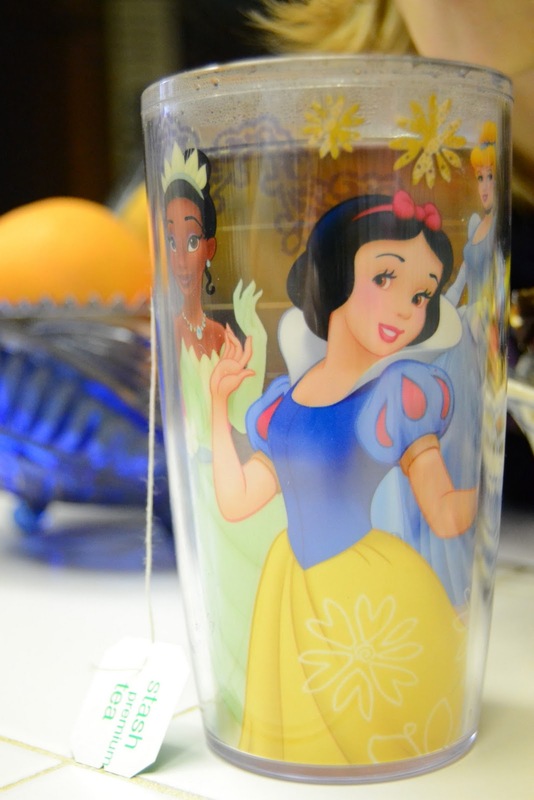 I just really, really like these cups and wanted to share! Enjoy! For the next two weeks we'll be reading and doing activities to go along with this wonderful book! Have you heard of "Five in a Row?" 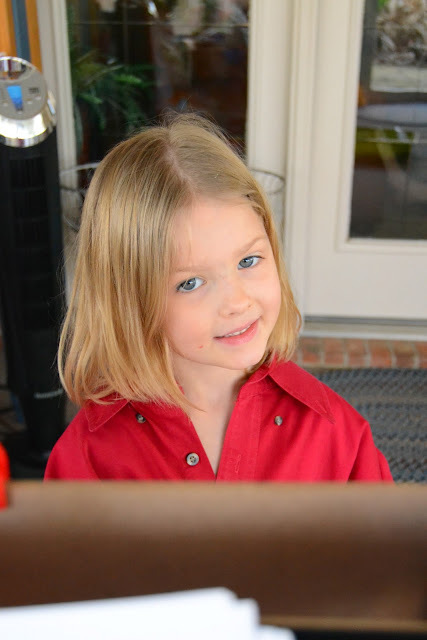 I hadn't until we started looking into homeschooling Sophia a couple of years ago. FIAR is a "curriculum" for children based on amazing books. The idea is simple, you read one book for five days in a row and then, throughout the days, you do activities that naturally come out of the reading. The outcome is amazing and so much fun! Sophia and I have loved every book! Here is the main website for FIAR. You can order the books and other materials at Rainbow Resources (they have lots of other great books and teaching aids, too). We have ordered our FIAR books for the last couple of years, but this year, while we are in the USA we will be able to get most of what we need from our local library. My favorite is Homeschool Share -a website with almost everything you need to help get started - great ideas, printables, and example lapbooks. 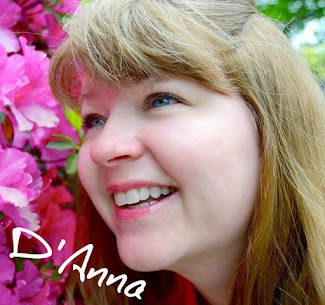 A FIAR forum with advice from real live Mom's! And, if you just Google "Five In a Row" blog or "Rowing" blog - you'll get a list of many blogging mom's using FIAR. Their posts are filled with ideas, schedules, resources and photos of all they have done with the different books. 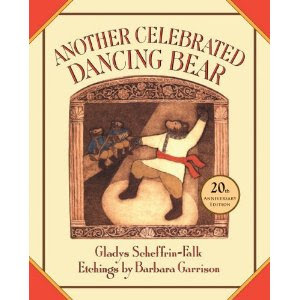 So, last week and this week we are reading "Another Celebrated Dancing Bear" by Gladys Scheffrin-Falk with beautiful etching illustrations by Barbara Garrison. The book takes place in Russia, where we are from! 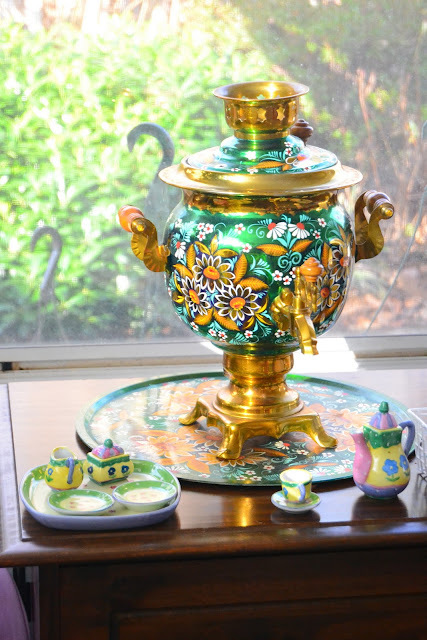 Served tea from our samovar and practiced our hospitality with family and friends. Listened to Russian composers and watched some of their ballets. Sophia received this book for Christmas and she loves it. 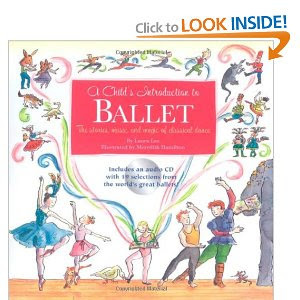 Today we read about the ballet Romeo and Juliet and watched some of the Dance of the Knights. This music give me chills . .. In keeping with our culture study, we also looked at Russian artists last week. 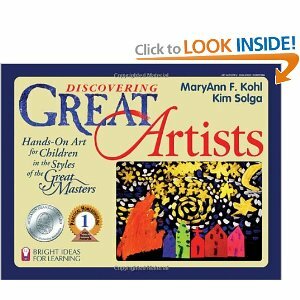 Using this book, we learned a little about one of the first Impressionists, Kandinsky. We looked at samples of his work in another art book I bought years ago. 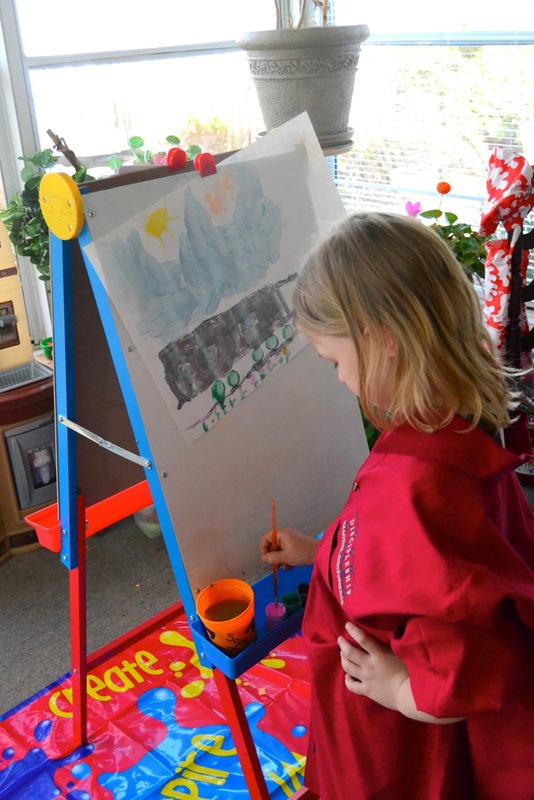 We learned that Kandinsky had been a musician before he became a painter. Music played a great role in his art - he said that a small painting is like a melody and a large one, like a symphony. 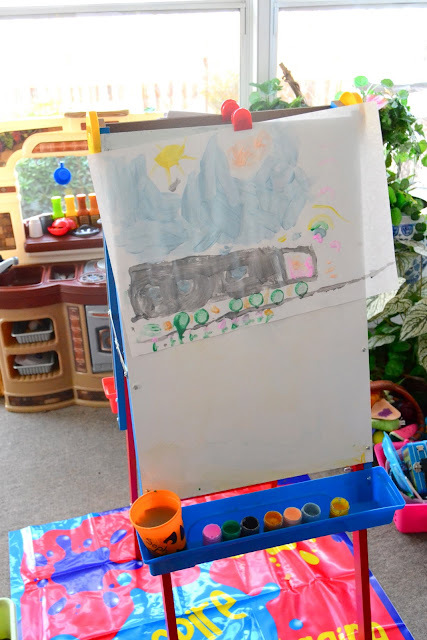 Sophia listened to some classical music from our local station and then, painted what she thought would "fit" the music. She explained, "It is a tram, riding along on the tracks." Russian tram . . . Learn some about the Russian artist, Marc Chagall, and design our own ballet set! 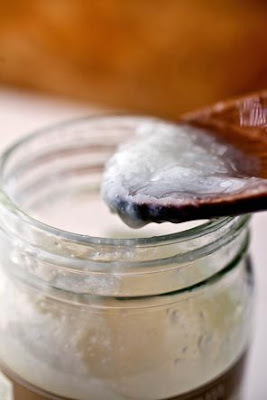 Experiment with water and the freezing and boiling points. Practice our hospitality skills and invite some friends over for tea and bear claws! 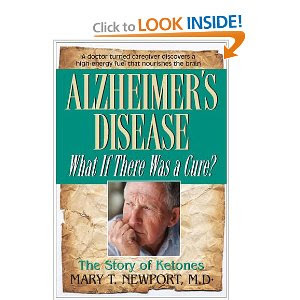 I just finished one of those books. A book that touches you so deeply, you feel yourself on every page, between the words, inside the print . . .
"City of Tranquil Light" by Bo Caldwell. Really, I hardly know where to begin . . . It is about a young man and woman who go to China in the early 1900's as missionaries. They fall in love with the country, language, people . . . and each other. It is a love story. The story is full of love. Love between man and woman. Love for a land - a topography. Love for those different from yourself. Love for those who become family. The last post for this blog was sometime early last summer. Since that time, my life has changed dramatically. We left Russia, our home. We gave away, sold, or stored all our worldly possessions. We sealed up the house God has helped us to build. We packed all we could into one suitcase and a carry-on, each. We are living with my parents. We moved here to help them. My father is suffering the effects of a stroke. Does that sound like much to you? I guess I have been busy and the magnitude of that change hasn't had time to come to the surface. I joined a book club through our church here. 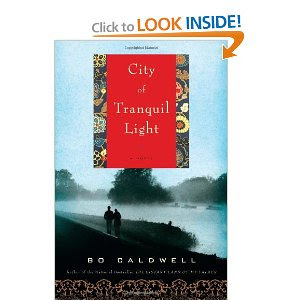 "City of Tranquil Light" was our December reading. It has opened up feelings. I'm telling you, I cried through the entire book! I have known the love and care of total strangers who took me by the hand and helped me through the maze of a new country, culture and language. Strangers who are now Family. I have lost myself - and gained a new life. I have been pushed and pulled and stretched into new faith positions that I never dreamed were possible. I have learned a language that was not my own heart, but became the only way I can express some of my deepest thoughts. I have strange stories that make me laugh - from even stranger experiences that, at the time were hardly funny. I have learned, a little, about sacrifice and letting go, and trust, and living a day at a time in faith. I have had few possessions and felt rich beyond measure. I have seen God change lives dramatically, and slowly, and painfully. I have seen God from another's eyes and loved Him. Because I followed God to Russia. It is not the end. There will be more stories. Goodness, God is not finished with me, yet!